Bouquets or boutonnieres are wedding essentials, and our Wedding Workshop provides all of the essential tools to create striking and dynamic modern pieces, as well as corsages, hair wreaths, and other small floral projects that are on par with professional florists. Whether you're preparing for a wedding, an event, or a special occasion, this workshop-in-a-box has everything you need. 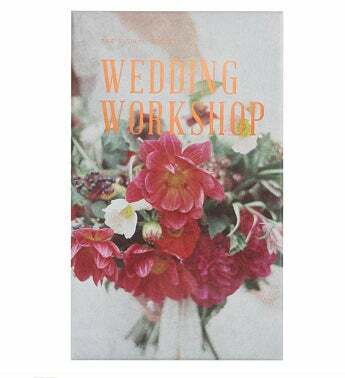 Floral workshop kit for weddings and special events.